Akhil Mahesh identifies himself as "an analog guy in a #digital world". The Western-classically trained #keyboardist of Event Horizon, joined in 2017, is a tech-savvy #music engineer, #software developer and #audio programmer who's worked for major companies like Dolby. Akhil is originally from India where he performed with his previous band "Insignia" in front of thousands in crowds. 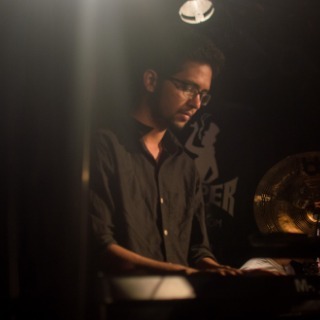 Akhil is now contributing to Event Horizon's new #arrangement and compositional direction with his unique sense of melodic mastery.